To learn more, check out A Primer on Reptiles and Amphibians - it’s free! Mow grass often and keep it short. Snakes are less likely to hang out and move through short grass because it increases their exposure to predators (e.g., coyotes, hawks). Short grass also makes snakes easier to spot by you and your family members. Avoid watering your lawn. Watering of your lawn and garden may attract prey species (e.g., worms, slugs, frogs) which may attract snakes seeking a meal. Keep trees and shrubs trimmed. Trim trees and shrubs away from your home and garage, and keep branches away from the ground. Creating a 24-36" space under trees and shrubs will reduce snake use and will make snakes easier to spot if present. Move the bird feeder. Birds are messy eaters and often leave seed scattered below their feeder. Seed on the ground attracts rodents which may attract snakes seeking a meal. Move feeders away from the house or stop feeding altogether. Store bird seed in a metal can with a tight fitting lid. Install a perch pole. Hawks and owls are natural snake predators that can be attracted to an area with the aid of a well placed perch pole. Poles should be placed in open areas so the hawk or owl has a good view of the yard and surrounding area. Learn more. Feed pets inside. Feeding pets outside can attract insects and rodents which attracts snakes. If feeding outside is necessary, be sure to cleanup uneaten food right away. Store pet food in a metal can with a tight fitting lid. Move your woodpile. Store firewood, excess lumber, and other types of debris away from your home. Stacks of lumber and firewood, and other piles a debris are prefect places for snakes to hide. Think before you landscape. Avoid using mulch and large rock in your landscaping. These materials attract snakes and their prey, and can create breeding and overwintering habitat. Instead, use smaller tight-fitting rock such as gravel or river rock. Avoid water gardens and Koi ponds as these water features attract snakes. Seal the cracks. Seal cracks and crevices on the house, sidewalks, and foundations to prevent snakes from using these areas. Consider getting an energy audit. Energy audits can be a great way to identify cracks and crevices that allow air conditioning and/or heat to escape the home - these same cracks and crevices may be used by snakes and other small creatures. Fencing. There are no sure-fire ways to keep snakes away, but when all else fails fencing may be worth consideration. Fencing should be buried a few inches into the ground, be constructed using 1/4" or smaller rigid mesh or solid sheeting, and include a bend at the top to prevent snakes from climbing up and over. Several companies make wildlife-specific fencing to save you time, a couple example: ERTEC Environmental, ACO Wildlife. Keep grass mowed short (one inch or less). Snakes are less likely to hang out and move through short grass. Short grass also makes snakes easier to spot by you and your family members. Feeding pets outside can attract insects and rodents which attracts snakes. If feeding outside is necessary, be sure to cleanup uneaten food right away. Do not use mothballs. The active ingredient in mothballs is naphthalene or paradichlorobenzene. These chemicals are toxic to insects and mammals, but are not effective against snakes (San Julian, 1985). Naphthalene may cause illness in humans, and have been linked to death in children. Using mothballs outside your home violates product labels, and puts your family and pets at risk. Do not use mothballs. Here's a short video showing mothballs are ineffective against snakes. Do not use sulfur. Many snake-away products claim that sulfur in their products will keep snakes away. Unfortunately sulfur is not effective at deterring snakes and is a waste of money (San Julian, 1985).. Here's a short video showing ineffectiveness of snake deterring chemicals. Do not use ceramic eggs or golf balls. If having issues with snakes in your chicken coop, using golf balls, or ceramic, glass or wooden eggs are not the answer. Snakes that eat these artifical eggs die a slow and painful death over many weeks, and new snakes will just show up to take that snake's place. Instead, focus on improving your coop to prevent snakes from entering and follow the deterrents recommended above. If using ceramic or other artificial eggs to encourage a brooding hen to lay, be sure to glue the eggs down to prevent snakes from eating them. Note: The loss of few chicken eggs here and there is a small price to pay for natural rodent control. Snakes eat lots of rodents, and rodents pose a significant risk to human and livestock health. Do not release kingsnakes, racers, or other snake predators. Capturing and relocating animals is rarely successful and may even be against the law. Please focus on the deterrents listed above. To learn more about wildlife relocation see (coming soon). Do not relocate problem snakes. Snake relocation might seem like a good way to reduce human-wildlife conflict, but most research on the topic has found that the snakes die more often than not when relocated. Do not use sticky traps outside. Traps placed outside capture all sorts of non-target animals and result in a slow agonizing death. Here's a short video showing how to properly release an animal stuck a sticky trap. Do not bring out the guns, shovels, or other weapons. Bringing a gun or other weapon to a snake encounter increases the person's risk significantly. Discharging a firearm toward the ground can result in bullet ricochet, and even trained police officers have accidentally killed innocent bystanders when trying to shoot a snake. If needing to get a snake to move on, use a water hose to spray the snake which will encourage it to find a new place to hangout. Learn more about why it doesn't make sense to kill snakes in your yard. Do not use snake repellents. They are ineffective and a waste of money. Photo courtesy of Daniel Carrol, Rattlesnake Solutions. Learn. A fear of snakes often stems from a simple misunderstanding. Take the time to learn more about snake identification and biology. Two great groups on Facebook are Snake Identification and Wild Snakes: Education & Discussion. If on Twitter, be sure to follow Dr. David Steen (@AlongsideWild) for snake facts and identification tips. Use your water hose. 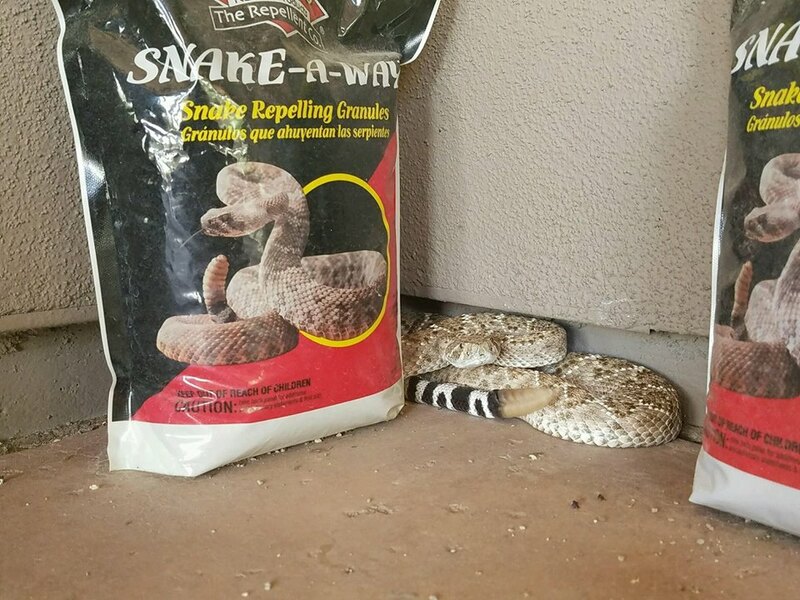 Opt for a non-lethal way to encourage a snake to move along. A blast from a water hose is usually enough to get even a stubborn snake to hit the road. Visit a nature center or park. Many local parks & nature centers display native wildlife, including snakes. Getting an up-close view of snakes, from within their glass cage, is a safe way to work on your fear. Attend a meeting or join a club. Many areas around the world have societies focused on amphibians and reptiles. These groups are a great way to meet local snake enthusiasts, and take the next step toward conquering your fear. A few examples in the U.S. include the Chicago Herpetological Society and Minnesota Herpetological Society. Respect the snake. It's important to understand that snakes play an important role in the ecosystem, and are good to have around the lawn and garden. Dekay's Brownsnakes for example feed on garden pests such as slugs and snails. Ratsnakes feed on rodents that can spread disease to people, pets, and livestock. Even venomous species of snakes are important to keep around, recent research has found that having a healthy rattlesnake population can benefit people by keeping Lyme Disease in check. Citizen science. Finding snakes can be exciting, and sharing your find via one of the many citizen science projects can help Herpetologists (people that study snakes) learn more about where they occur. 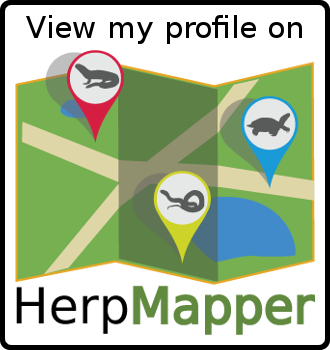 Start participating today by visiting HerpMapper.org.